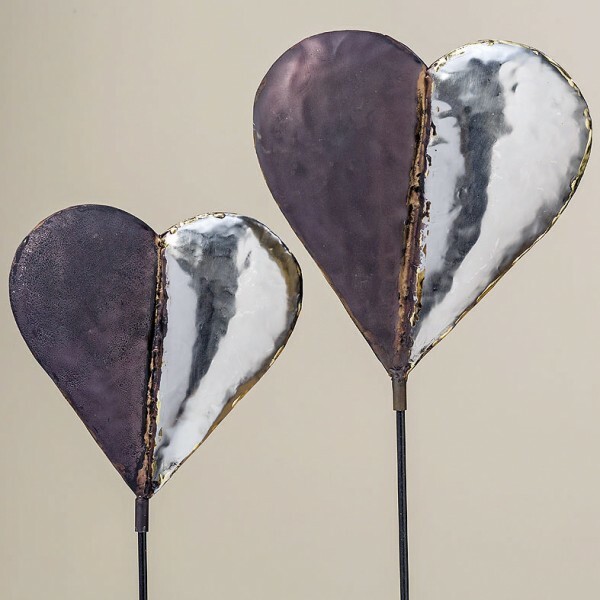 Product information "Heart Garden Stick"
These tall Heart Garden Sticks are a rustic finish one half black the other silvered. They look stunning placed in planters by your front door to welcome your friends and family or simply place them in a border amongst your garden planting. Perfect for in or outdoor use, in your conservatory, balcony or garden. Available in two sizes. Related links to "Heart Garden Stick"
Customer feedback for "Heart Garden Stick"